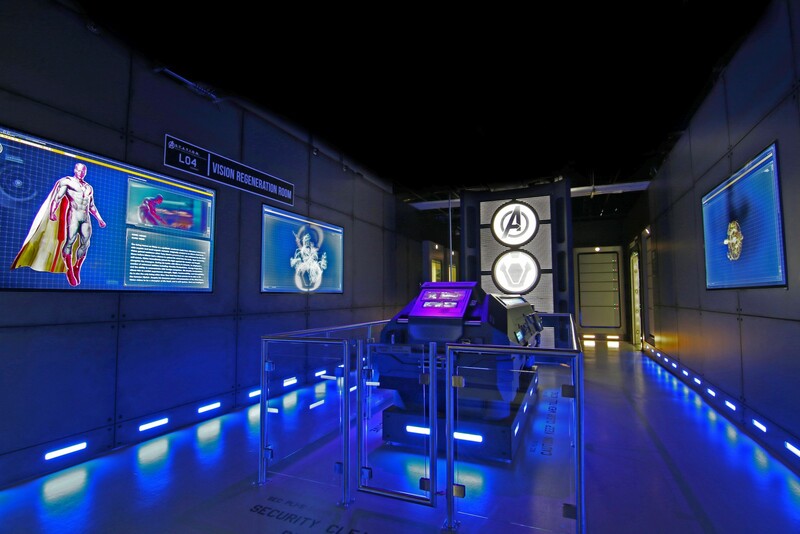 Now that ?Avengers Assemble? 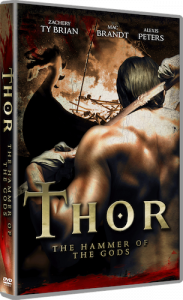 has graced our screens, I thought it would be a good time to take a look again at one of the build-up movies, ?Thor?, starring Chris Hemsworth, as the golden-haired Norse god. There was a whole heap of hype leading up to the release of this Marvel movie, a lot of it around the fact that arch-thesp Kenneth Branagh was directing. Would it be a Shakespearean take on the classic comic character? How would Branagh cope with CGI and action? Could even Ken make such a ludicrous character work for a modern audience seeking realism and grittiness? The answers came with a film that is almost, but not quite, a fantastic comic book film. 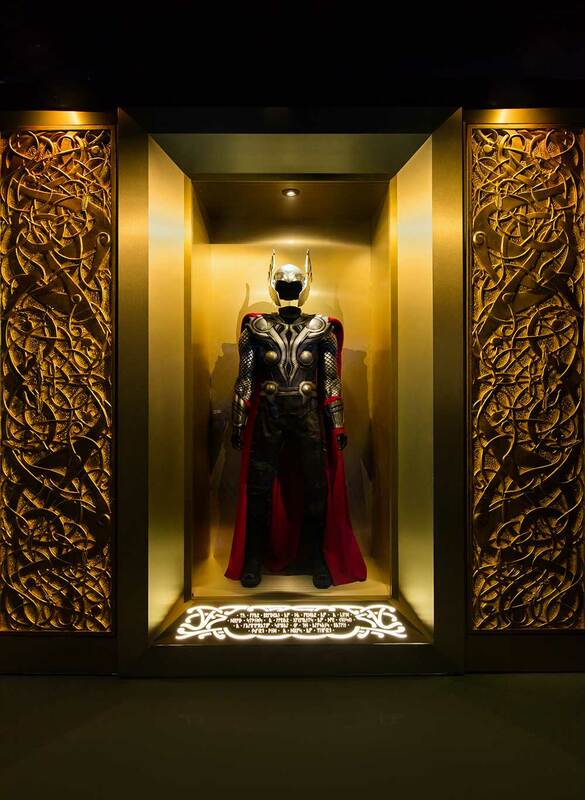 Branagh brings us a truly other-worldly Asgard, complete with stuffed-shirt demi-Gods and full of pomp and splendour. Chock full of CGI and green-screen, surprisingly it is here that Ken does his best work. Everything from architecture to Odin is suffused with regal magnificence and a sense of its own self-importance. This is Shakespeare for the comic-book generation. Anthony Hopkins brings Odin to life with grandeur and pomposity. Yes, it is all very Over The Top, but this is a fictional world of Gods, it needs to be OTT. Thor and his merry band of chums and sicophants defy daddy Odin?s orders and go have a fight with the Ice Giants. Odin takes offence at this and cancels Thor?s coronation as King, and banishes the naughty demi-god to Midgard aka Earth aka some dust-bowl town in America (cheap for filming purposes, one supposes). Here, our muscly man-mountain meets some lovely people, falls in love with Natalie Portman (well, who wouldn?t) and learns some important lessons (all in a matter of half an hour!). Meanwhile, Thor?s mischievous brother Loki (the excellent Tom Hiddleston) is being a very naughty chappie indeed back in Asgard. As Odin has fallen into the Odinsleep (aka useful plot device) Loki has claimed the throne and learned a secret about his past that has led him to go even more bonkers jealous crazy fruity-loops. He needs to get rid of his brother, so sends The Destroyer, an example of cutting-edge Asgardian CGI, to earth to kill Thor and, for no reason, destroy everything in the immediate vicinity (not that there is much?remember, we are in a small town in the desert?useful for cost-cutting!) 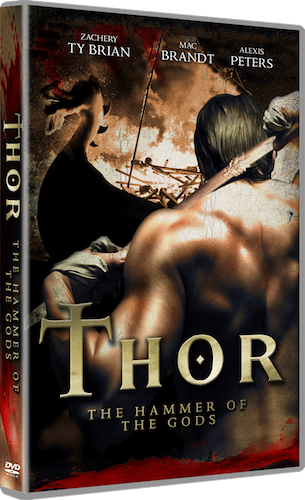 And so Thor has to learn another lesson, step up and save the world?well, the town?well, the girl. Hmmm? Back to the 3DBD release. The 3D works incredibly well in all of the Asgard scenes, adding wonderfully to the other-world nature of the environment. In the final stand-off between Thor and Loki the 3D really does make the difference, layering depth where the 2D version feels flat. During the Earth scenes the 3D appears flattened and wasted. This may be a result of the incredibly dull environment?there really isn?t much for the 3D lens to do! All in all, I would recommend the 3D version, just because of what it adds to the Asgard scenes, but the 2D version will suffice?this is not a must-have 3D film. The ?Limited 3D Edition? release comes with a 3D and 2D version plus a digital copy. 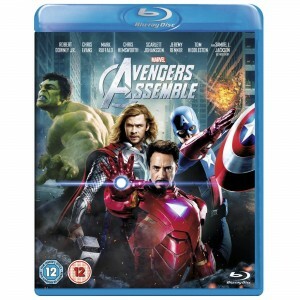 Additional features include a commentary from Kenneth Branagh, a series of 7 featurettes plus a ?Road to the Avengers? item. Pretty good value for a pretty good film. As part of the Avengers Cannon this is a must-see movie. Like Captain America, The Hulk and Iron Man 1 & 2, it sets the scene for the Avengers, the best action film of, well, a very long time. As a standalone film, it feels held-back and suffering from a lop-sidedness. Definitely worth watching, definitely entertaining, but also definitely dull in places. Like the first X-Men movie, we can hope this leads to a far superior second film in the franchise. 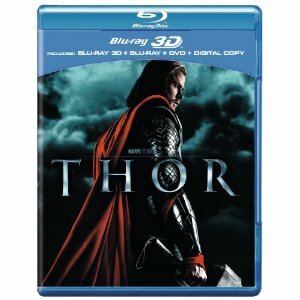 Koch Media are proud to announce the DVD and Blu-Ray release of Thor: Hammer of The Gods on April 16th. Thor (Zachary Ty Bryan ? The Fast and the Furious: Tokyo Drift) and his companions set out on a journey to discover foreign coasts, striving for fame and honor. But when a scout goes missing on a strange island, the search party meet the terrified inhabitants of the land, terrorised by wild beasts. Thor begins to have recurring dreams, telling him to start a quest for the Hammer of the Gods ? a mighty weapon that can save the island. Scifi/Fantasy wins for Harry Potter, THOR and Tin Tin. Full release below. Tinker Tailor Soldier Spy dominated the awards, winning Best Thriller, Best British Film and Best Actor for Gary Oldman; closely followed by Harry Potter And The Deathly Hallows ? Part 2 which was awarded Best Director for David Yates and Best Film. The night also saw Kenneth Branagh?s Thor win Best Sci-Fi, Ben Palmer?s The Inbetweeners win Best Comedy and Ben Wheatley?s Kill List win Best Horror. Further to Gary Oldman?s deserving win, British actors continued to lead the awards with Olivia Colman winning Best Actress for her role in Paddy Considine?s Tyrannosaur, Michael Fassbender won the Empire Hero award and two of Britain?s rising stars won Best Newcomer – Tom Hiddleston for Thor and Felicity Jones for Like Crazy. Tim Burton was honoured with the Empire Legend award. Steven Spielberg?s The Adventures Of Tintin: The Secret Of The Unicorn shook off competition from Hugo, Harry Potter, Transformers and Thor to win The Art of 3D award and Ron Howard was honoured with the Empire Inspiration award. This year aspiring film makers from around the world flooded the popular amateur filmmaking award Done In 60 Seconds with their entries and the finalists include fantastic one-minute reprisals of films such as War Horse, Tinker Tailor Solider Spy and The King?s Speech. However, there can only be one winner, and the judging panel, which included award-winning British actor and comedian, Chris O?Dowd, presenter Alex Zane, film director Gareth Edwards and Empire Editor Mark Dinning awarded the prize to Indira Suleimenova for Black Swan. The Jameson Empire Awards are held after the industry voted events and are one of the only film awards to be voted for entirely by the public. Held at Grosvenor House Hotel and hosted for the first time by Lauren Laverne and Empire?s Chris Hewitt, stars in attendance included Gary Oldman, Danny De Vito, Agyness Deyn, Berenice Marlohe, James McAvoy, Tom Hiddleston, Harry Hill and Michael Fassbender. Mark Dinning, Empire?s Editor, said: ?British movies have ruled the world in the past year, and we are delighted to see them rule the roost here tonight, too. The readers of Empire are the smartest academy out there and this year they have picked the very best winners from a terrific 12 months. With the Olympics and Euro 2012 just around the corner, our homegrown movie heroes have tonight kicked off a year we hope is packed with British triumph.?? This interactive guide invites you to explore the worlds and meet the characters of THOR, discovering extensive brand new footage and stills from the film in the process. X-Men: First Class writers Ashley Miller and Zack Stentz are to appear on a panel at the next MCM Expo London Comic Con, which takes place at ExCel London on 27-29 May, show organisers have announced. ?We?re delighted that Ashley and Zack will be part of our X-Men: First Class panel,? said MCM Expo co-organiser Bryan Cooney. 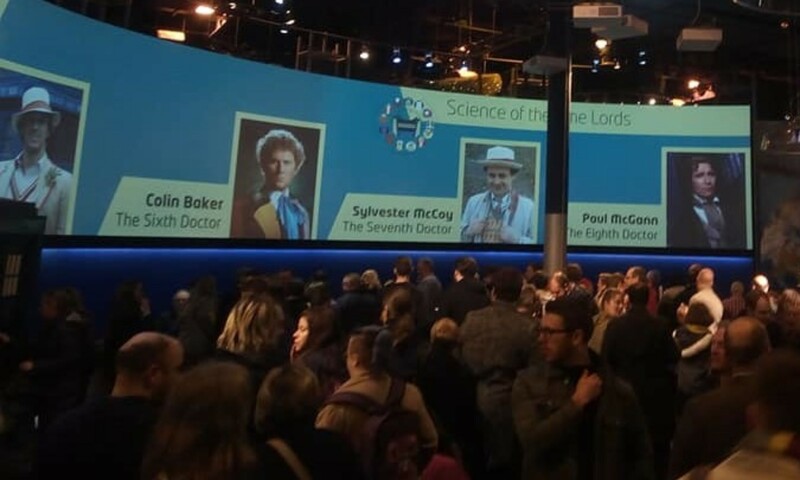 ?As London?s Comic Con we play host to tens of thousands of comic book and film fans, so to have the writers of two of the biggest superhero movies of 2011 at the show is perfect.? ?Only last week we announced much-anticipated action-adventure Green Lantern as the MCM Expo?s official title sponsor, and the addition of two such talented writers helps ensure that this May?s show will be one to remember. ?